Order these Amish stools as counter stools or bar stools. They have a unique Amish blend of the Contemporary, Shaker and Mission Styles. Handcrafted by highly skilled Amish craftsmen, the Trenton Bar Stool is built to last. 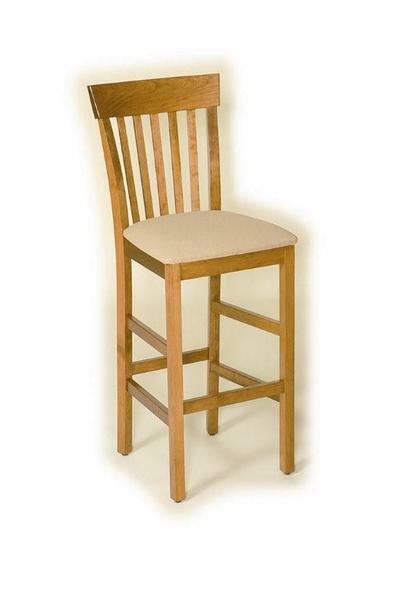 We expect each stool will serve your family for generations and make your family proud. The Trenton Stool features stability providing slats through the back support. For assistance with our customizable options, including hardwood and finish, or to simply begin an order, please call one of our Amish furniture specialists at 1-866-272-6773 or visit our brick and mortar store in Florida.